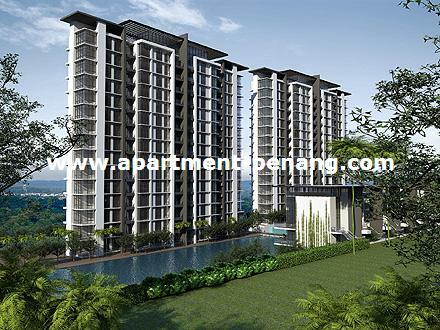 The Address @ Bukit Jambul is a residential property project located at Bukit Jambul, Penang. 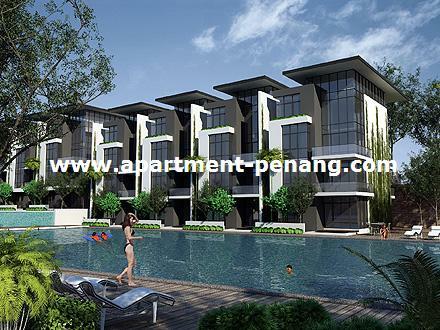 Situated next to Equatorial Hotel and the Bukit Jambul Country Club, The Address is easily accessible from Penang Bridge, Penang International Airport and the Bayan Lepas Industrial Area. 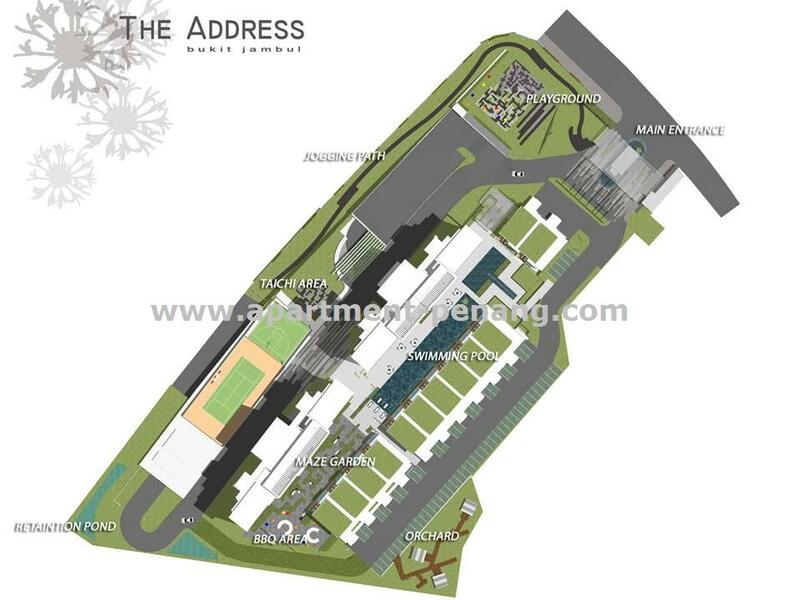 The Address @ Bukit Jambul, a low density development comprises only 148 units of condominiums and duplex lofts. 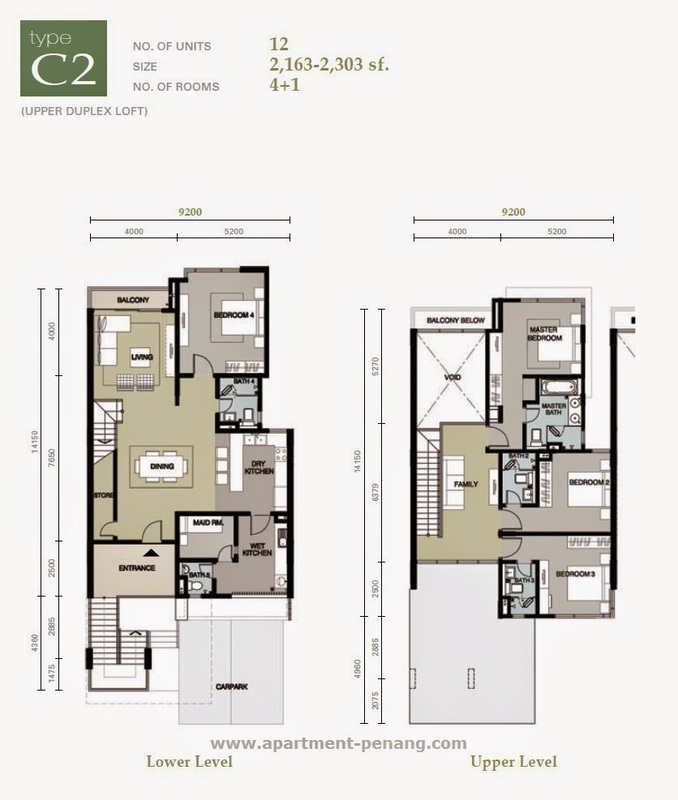 Every unit has a spacious built-up area ranging from 1,431 to 2,476 sq.ft. The facilities include basket ball court, tennis court, swimming pool, sauna room, gym, jacuzzi, jogging track, community hall. 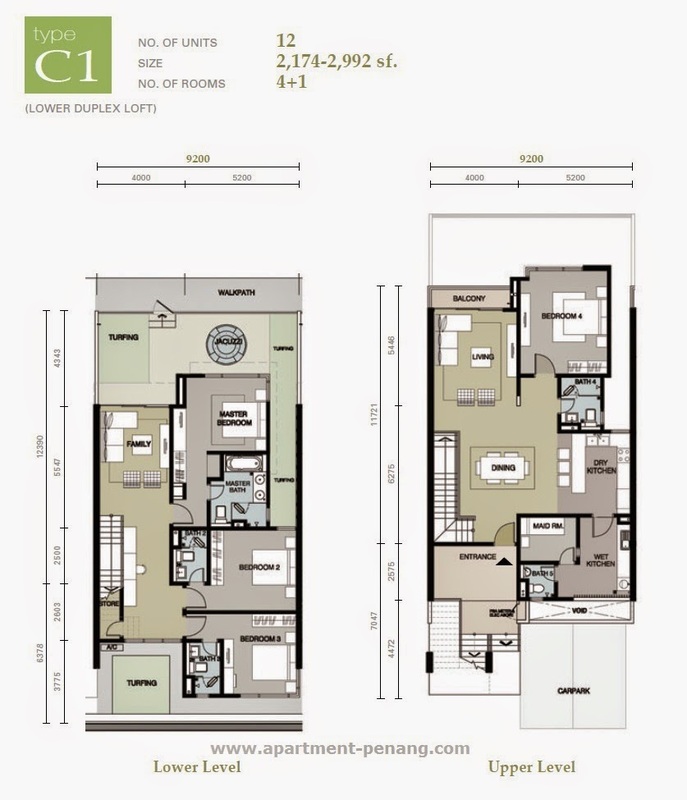 Built-up Area : 1,431 - 2,476 sq.ft. Assume that this is Leasehold? where is the location? is it at the old College Heights location? 450 psf for leasehold is considered cheap?? Good luck, man. RM450 psf for a leasehold condo on a hillslope....NO THANKS! yup. im being sarcastic. thats how i show my dissatisfaction over the house prices in this so called pearl island. and its not just the high prices...there will be some morons buy the whole floor and sell it at much higher price later. we must boycott these morons. teach them a lesson. never buy property from them. may be it is the cost of material and labour higher now a day? Can check with any of contractor about the recent cost of material and labour charge. I think is only IJM stuffs think it's worth. you can refer to the following link for construction price index: http://www.cidb.gov.my/. I am not expert enough to recite this, but in overall yes it is true the cost does increase over the time, but i doubt that it matches with the rate of increase in the end-product. From 270psf (summerplace and the rest) to 450psf (the address), there is an massive increase of 50% in price! Of course we also need to consider other factors such as land price, build quality and supply vs demand (market/bank and speculation falls under this), but 50% still sounds scary, especially just a bit over a year timeframe. As a consumer, we should select what to buy intelligently. Bayswater/platino/summerplace have thier own distinctive attractions, eg. tesco/e-gate, seaview, near to bridge (quite a number of people working in BW plants or Kulim hi-Tech actually staying there), promenade, and price tags. However the The address, i can only think of a college (but not pull factors, how many students will stay in >600k property? ), and also the golf course (again, most golfers i know rather go Sg petani or langkawi then penang). Base on this, its a no go for me. Anyway, waiting to more comement to flow in, maybe there are some very strong plus points about this project which did not come into my mind. This project is leasehold or freehold? Thanks! I checked with the sales guy in The Star property fair few weeks back. That fellow said is freehold. Smile, should also read what they said about Platino. 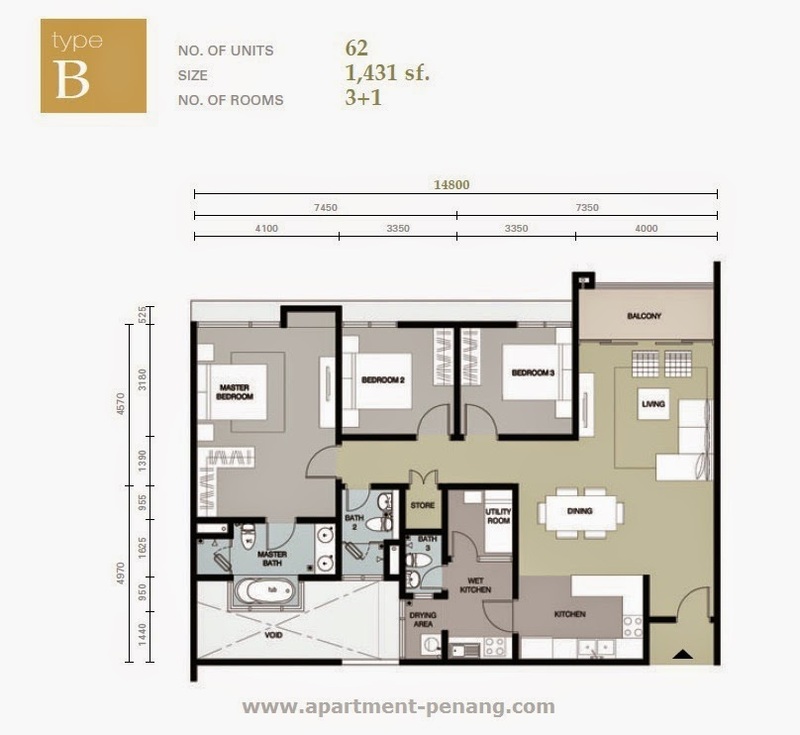 RM450psf really a new condo price in BJ area. IJM should sell higher than market price because other developer already sell RM350-400psf nowadays in Penang. If IJM still sell at RM350psf nowadays, a lot people will 'rebut' to grab it at launching.....people doing business used brain 1. I'm not brainless,I'm saying the truth.I'm not holding any1 'LP'.If I'm the developer,I will not sell my property lower than market price,right or not?What we can blame is to the investors who make our Penang property rose up so much especially subsale property.They bought the new property for subsale only. I feel reasonable for their asking price compare to Hillcrest project.any comments? When will this project be launched? anyone got more details about this? thanks! Any updated news about the price and the launch date? Location wise so so. Heard it is a leasehold some more. But Pros are the lower floor duplex can have direct access to the pool, that sounds luxury. It is also another Green certified building from IJM after the Light Waterfront. Any latest news on this project? Is this lease hold also? how much would it be? as per the discussion RM 350 - RM 400 psf, base on the min capacity of the household should start from approx. RM 500k above, max could be RM 1.2mil? take a wild guess only hahaha. This should be a leasehold 99-yr project. The location is good for those who work in the Bayan Lepas area or at EQ. But I am not a big fan of the heavy traffic along the main road, leading into the uphill road. The hillview, nonetheless, is going to be special. The traffic at this area particularly during rush hour has become unbearable over the past 1-2 yrs. And now that Hillcrest Residences (the new condo opposite) is slowly being occuppied the traffic will become worse !. Bad bad planning, doesn't make sense. Btw, the view from EQ/Bukit Jambul is really nothing to shout about. :-) Any idea how much per ft2? Freehold or leasehold? rm670psf.much cheaper than southbay plaza. Selling very fast and i guess just left bumi units. I got one unit for own stay. Which panel bank is better to proceed ? How much per sq2 and freehold? It's a leasehold. The response is not overwhelming. It's rather too expensive with leasehold title. Nowadays, people is smart and wise enough to weigh and consider worth to buy or otherwise. Both location and price, leasehold in QB area is still better buy than this. Location and view are good. but it is expensive for a leasehold condo. 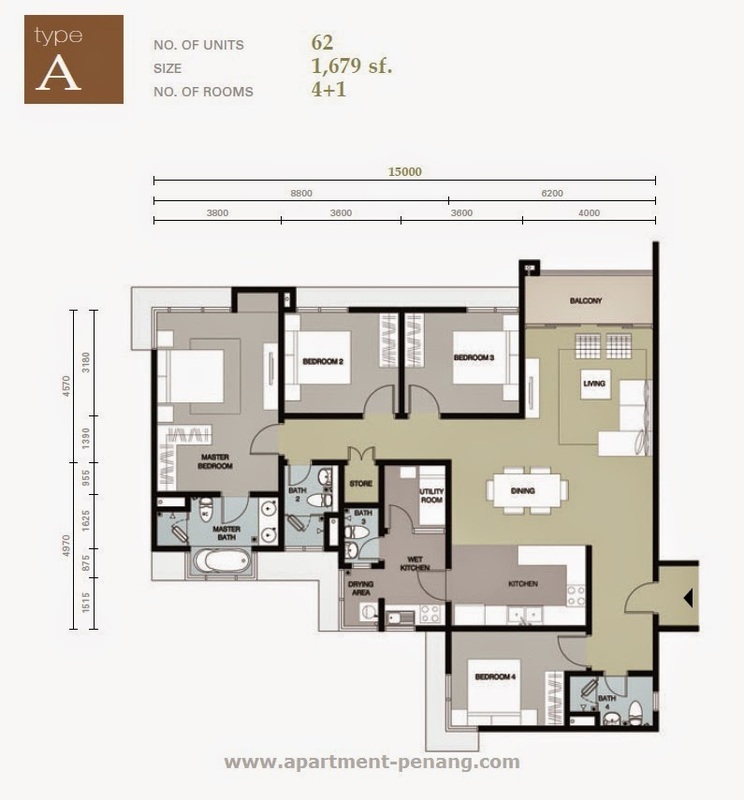 the maintenance fee is RM0.26 per sq.ft, approx. RM 370 per month. but still it was sold out, so what u think of penang buyer? anything also they grab it? simply because many penang people are rich. they do not really concern on the capital appreciation as they are ALREADY rich. Anyone know this two blocks got how many level each?? I bought the Duplex loft top level with feel good feeling to move in after received the key. – shoddy timber flooring work & IJM management just refused to accept until one of the strip started to pop up! – really narrow car park for kancil car. BLOCK B UNIT 4, Having the best view of all units. LAST AND ONLY UNIT AVAILABLE ONLY. - A unit that is below market price and definitely is an ideal choice for investment. Please contact CHEWY LIM @ +6016-4321534 for more information. The Address @ Bukit Jambul, a low density development comprises only 148 units of condominiums and duplex lofts. The facilities include basket ball court, tennis court, swimming pool, sauna room, gym, jacuzzi, jogging track, community hall.